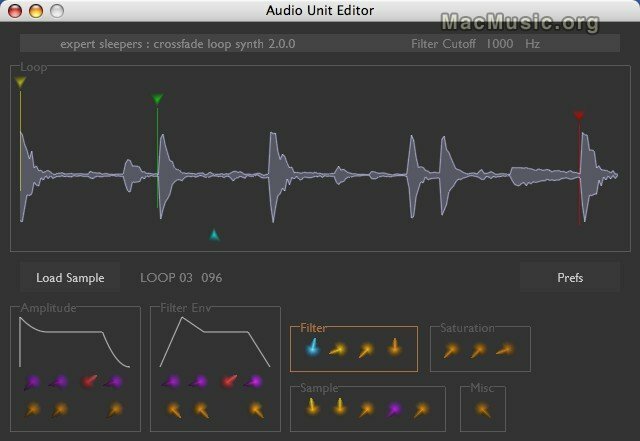 Crossfade Loop Synth by Expert sleepers is a sample playback synth Audio Units plug-in. This new version 2.0 features a new GUI, a new 'reverse' and 'alternate' loop modes, amplitude and filter envelopes now ADSR with adjustable shape, a new saturation section, an increased range of filter cutoff and the volume control now has a different response curve. More info in the MacMusic softwares section.